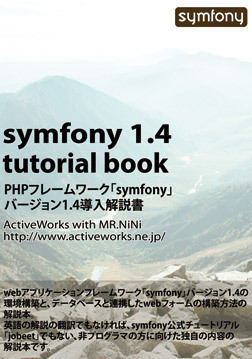 "symfony" is a trademark of Fabien Potencier. All rights reserved. The symfony logo is licensed under a Creative Commons Attribution-No Derivative Works 3.0 Unported License. Last update:2007.01.01 / Copyright(C)ActiveWorks Inc.